What types of cleaners do you use in your home? Have you ever really looked at the bottle? What are the ingredients? Most household cleaners are not required to give full disclosure on their label. I’ve always thought this odd. It makes me wonder, are they hiding something? I really don’t know the answer. What I do know is even the chemicals that are listed are often toxic in some form, which is why you often see the poison skull & crossbones on the label. We’ve been taught everything has to be sanitized, and yet overuse of antibacterial chemicals is leading to superbugs – antibiotic-resistant bacteria. We live in a world that is over fragranced – from perfume to a plethora of home air freshening products. And these fragrances could contribute to respiratory problems. It is my opinion that any household with infants or children, anyone with asthma or COPD, should use caution when putting scents throughout their home. One of the issue chemicals in household cleaners and in body care products is Phthalates, a class of synthetic chemicals used as softeners, or plasticizers, in polyvinyl chloride (PVC) products, as well as solvents and other additives in a wide range of consumer products. They’re found in shower curtains, wallpaper, dyes, mosquito insect repellents, and personal care products such as nail polish, skin moisturizers, and perfumes. And you often do not know they are there. The potential problem with phthalates is they may contribute to increased risk of cancer, and may impact human reproduction and development. The thing is, you can reduce your exposure just by looking at the products you clean our house with, and the products you clean your body with. Just by avoiding the word “fragrance” or “parfum” on a bottle can reduce your exposure. If you would like to know the actual make up of those fragrances, you will have to do a little digging. A large producer of household cleaners does provide a list of the chemicals in their fragrances, which is 19 pages long, 2 columns on each page. Or you can make it easy on yourself. Look instead to naturally scented green cleaners and body care products. These are scented with essential oils – nature’s fragrances. These essential oils not only lend a nice fragrance, but many of them have the benefit of being naturally antibacterial. 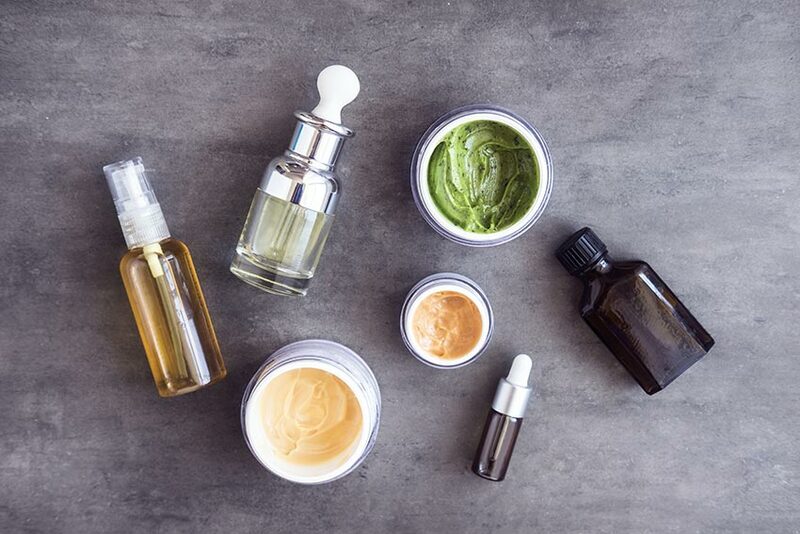 In a 2009 study, several common and hospital-acquired bacterial and yeast isolates (six Staphylococcus strains including MRSA, four Streptococcus strains and three Candida strains) were tested for their susceptibility against several essential oils. Thyme, lemon, lemongrass and cinnamon oil provided the most effective antiseptic action in this study. Others with antibacterial action include tea tree, basil and eucalyptus. There are any number of DIY recipes out there for natural household cleaners. I’ve included one below that we are also making in Aromatherapy Workshops this month at Akin’s and Chamberlin’s Natural Foods. A huge thank you to Wyndmere Naturals for providing 100% pure essential oils that work perfectly for this recipe. 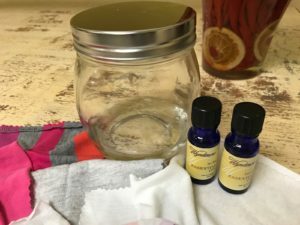 Make the softening solution by combining vinegar and essential oils in the jar. Add fabric squares and replace lid, letting fabric soak up the liquid. Label jar and store upright. Remove 2 squares from the jar and ring out the liquid back into the jar. Throw them into the dryer with the clothes. Use 2-4 for a small/medium load, or 4-6 for a large load. 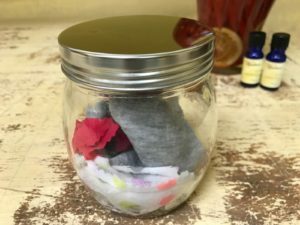 After cycle is complete, put your homemade dryer sheets back into the jar, re-soak and reuse! 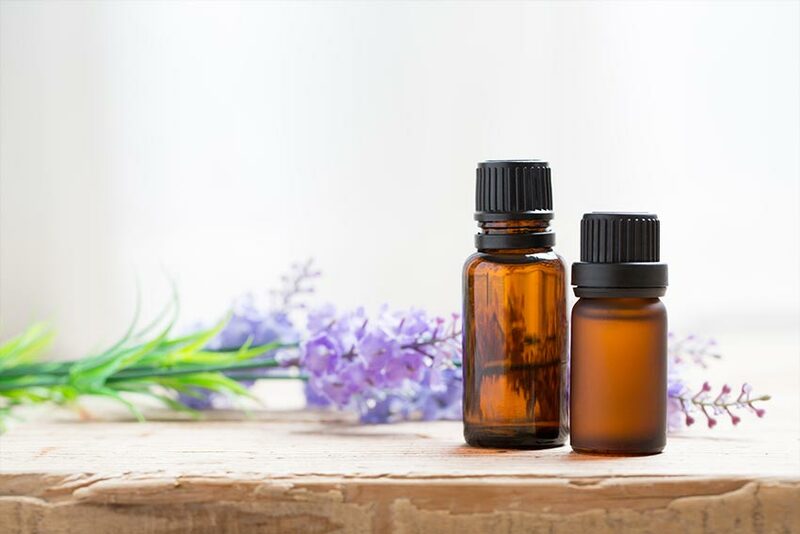 And don’t worry – your clothes won’t smell like vinegar as long as you stick to the guidelines above (don’t use too many sheets), but the essential oils will leave a fresh scent!